Inbound Marketing vs. SEO vs. What? Learn from what others are doing (& not doing). Today's blog is part 1 in a new series of blogs created to help all business and business professionals understand what others are doing in reaction to all the new Inbound Marketing technologies & lead generation software available. Do I need to redo my web site? What condition is my current web site in now? Do I need SEO - What is SEO? Do I need SEM - What is SEM ? How do I isolate my best keywords? How long should my blog be? How does video work in a blog? Should my blog be under my main URL? How can this social media craze help me - where do I start? Are my current social media efforts efficient and/or effective? Should I use Facebook or Linked In? How do inbound links work and how do I get more? What is the difference between impressions, traffic, leads? What is a landing page and how do I use it to my advantage? How do I generate more leads? How do I track leads? How do I nurture leads? How do I find time to do all of this? Why can't I just use what I am used to, it's worked in the past? Doesn't my web master handle of of this? If you're an Inbound Marketing Consultant, you have heard all these questions in one form or another. If you are a business owner, marketing director or other business professionals you probably have asked many (if not all) of these questions in one form or another. Take a deep breath and relax a moment. Understand that each Inbound Marketing plan will be different because each target marketing is different. Make sure you get a clear picture (inbound marketing analysis) of where you are starting from or continuing from. Speak with a few Inbound Marketing Consultants in an effort to find one you trust. Find one that gives you a reason to be confident in his/her knowledge and specific solutions. Look for a method that is comprehensive and easily manageable under a few or even one application. In an effort to shed some more light on both sides of this equation, I have taken the time to sit down and speak with business owners of all types and ask them what they are doing, what they believe, what they are concerned about, and what they would like to do going forward in the world of Inbound Marketing. As stated earlier in this blog, this is "part 1" in a new series. Each new blog in this series will have the results of a new interview with a different business. These interviews consist of general questions, the subject's responses to those questions and some suggestions to resolve the obvious obstacles and challenges. My hope is that this open communication will help business owners understand more about what is needed and the Inbound Marketing Industry will be better equipped to address these needs as they are stated from the client's point of view. Business Description: Medical Office with 15 professionals with focus on pain management. 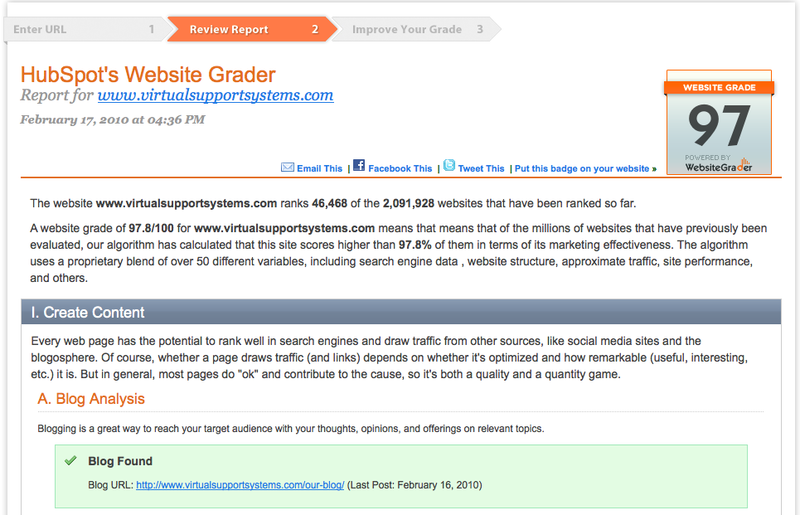 Overall Assessment: As I stated earlier, all businesses are unique and demand a unique approach to developing an inbound marketing startegy that works best. In this case, no real Inbound Marketing strategy has been developed. You can see by the answers below that this business does understand the importantce of marketing but feels they have success using a more traditional methods. After an initial conversation, PMA understands that they are ready to upgrade at least their representation and image online by creating a new web site. Once this is finished, they will slowly and systematically apply more inbound marketing elements. After this interview I can see that this business is different than many others in that they were not effected as greatly by the economic downturn. Their revenues have contionued to increase in 2009 and 2010. What I did notice was that even though they are taking in new business and growing each month, they are starting to understand the future and what technologies may help them support their future growth and marketing management. How would you describe your current marketing activities: Peer to peer communication, yellow pages, Physicians Guide (annual publication), networking with other physicians. What changes are needed (if any) in your marketing methods? : More frequent marketing, diversify marketing efforts, the addition of some form of Internet marketing. Do you know what Inbound Marketing is, if so, please define in your own words? : Yes - You bolster your internet presence in an effort to become more visible online and reach out to your target marketing in a non-invasive market responsive way so that they can reach you as their needs dictate. What percentage of your marketing budget is applied to Outbound marketing vs. Inbound marketing? 50% - Our efforts are shiftly from focus on print to other types that are web site driven. What inbound marketing components are you currently utilizing? : Web site development. Our web site is being recreated. How are you currently measuring ROI? : Detailed analysis of new patients and their referral sources through traditional methods measurement. What search engine strategy has been employed? : Limited SEO with no real results, we think. Have you considered developing an Inbound Marketing Plan, if so, what are your challenges? : Yes, enough time to create, budget and a better understanding of what we should do first. What would be your first step in creating a better inbound marketing plan? : completing and then optimizing our web site. Stay tuned for Part 2 In this blog series with Inbound marketing perspectives from other businesses. We basically came to the conclusion that he need to do much more and the answers we arrived at 8 months earlier don't apply in the same way as they do today. I was able to teach Kevin that he needed to be much more comprehensive. I told him that this doesn't mean he has to spend gobs more money. He just needed to understand the philosophy and methods needed to reach his target markets have changed and this means, he has to change. The fact is that all business owners and professionals need to make these same changes. They need to be involved in the creation of the content needed to meet the needs of their "potential" targeted website traffic. What my client taught me? Kevin taught me that it is the client's knowledge and experience that needs to be exploited and will best determine the most fruitful target market both sort term and long term. This may seem like common sense to most but I see it overlooked a little too much when developing targeted website traffic, Inbound Marketing and even more so with a specific search engine optimization plans. Kevin brought up the question of shifting focus from the national market to targeting his local markets more for a number of reasons. One was that a few of his new clients that did find him from his SEO project were local. From there, Kevin then thought about this further and came to the conclusion that perhaps his targeted website traffic would be more prone to hire local design companies. No matter if Kevin is right or wrong, the point should be considered by all companies getting involved with the new Inbound marketing and that point is to be very clear about your target markets segmentation. The more a business can segment the different target markets that would be interested in those products or services, the better (and more quickly) the Inbound marketing project can gain traction and accelerate the pace of the website's out reach. Lower hanging fruit can be identified, further defined and targeted with the appropriate message(s) using the appropriate technologies. There is no doubt in my mind that the result from this elementary conversation will be huge. Why? Targeting the local market will remove 90% of Internet competition. 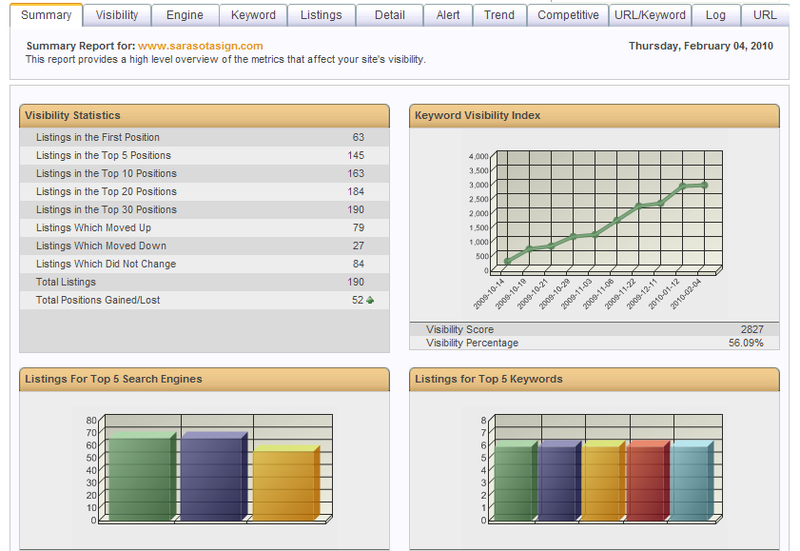 The more targeted keywords will gain search engine positions faster. His local prospects will find him easier & faster. His message will be more focused in this target market (effective). Conclusion: Carefully examine all your market segments and with the help of your Inbound Marketing Consultant either before you launch your comprehensive Internet marketing plan or before you continue your plan. Some times the basics can be overlooked an in this case, the client had the best solution for his marketing challenges. It's a new decade and by now, anybody (any business) that is paying attention can see that to ignore marketing their products or services by way of Internet (inbound marketing) can be death sentence. I can vividly remember that not much more than one year ago, I had conversations with many businesses that had inbound marketing on the back burner. This was explained to me using many different reasons. They are not a "computer person"
The other observation I have made as an Inbound marketing professional is that the amount of work has increased dramatically. As little as one year ago, a well executed search engine optimization strategy would provide traffic that would convert and translate into sales. Although this will still occur in many situations and for many businesses, it no longer enough for long term growth and exposure. If you fall into any of these categories, my first suggestion is to go through the process of determining the condition of your web site. What are the Inbound marketing or search engine marketing assets? Where are the weaknesses? What do the search engine and social media sites see when they look at your site? As a high level Inbound Marketing Consulting Firm and a partner of HubSpot, we offer our clients a series of reports that uncover this valuable information. If you would like to understand more about the condition of your web site, call us for a consultation. We are happy to educate and assist. Inbound Marketing: Do You See The Transition? There is no denying it, there is no avoiding it, Inbound marketing is here, and it's here to stay. As I tell anyone who is interested, either get on board with the new world of inbound marketing, or get run over. Andin 2010, you may get run over rather quickly. The old or traditional method of marketing (outbound marketing) is being replaced because it has fallen down on the job. That's what happens to anything when it becomes inefficient, ineffective and there is a better way to do it. Don't misunderstand me, traditional marketing or outbound marketing still has a place in an overall marketing strategy but it is being out-performed by the new configurations of inbound marketing. These and other "shotgun" message delivery methods have become more expensive while handing us decreasing results. Enter the new age of inbound marketing. The difference inbound marketing provides is simple. The use of the components above (and others) to get your message in front of those businesses and consumers who are already interested and actively searching for you, your products and your services. Doesn't that make sense? You only need to speak to those who are qualified and in need. Although the principles may sound straight forward, it is usually not a cake walk to create a comprehensive inbound marketing system. In fact, it is getting harder as more competition enters the game. In 2008 and 2009, SEO or search engine optimization might have been enough to gain position and establish significant traffic. That however, is not the case in 2010 and beyond. Although common sense will tell you, competition plays a major role in dictating how arressive your inbound marketing campaign should be, know this, in most markets, competition is increasing monthly. What to do? Learn, learn, learn... This doesn't mean you need to stop and reschedule your to do list and become an expert in this new discipline. It just means that the more you understand the basics, the easier it will be to find your specific solution.Educate yourself on what is available in terms of consultation, software and strategy development.